Event Management Staff Hiring Services in Bhopal - Lakkho HR Consultants Pvt. Ltd. 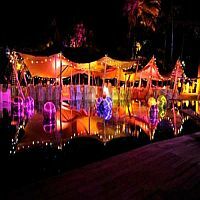 In India, the Event Management Sector is at its initial stages. However, with the pace it is growing, expectedly it will significantly contribute to the economy of the country in the coming years. Not only celebrities and organizations hire Evened Management Firms but also the common people. We understand that individuals with a friendly attitude with relevant qualification are the best fit for Jobs in the Event Management Sector. Thus, we have developed a databank of profiles of candidates who possess the desired qualities.